Growing up, one of my childhood friends and her mother were vegetarians. This was quite some years before it was popular (be polite and don’t ask exactly how many years) and some of the fare that they partook in was to say the least un-tasty. They ate green sprouty things on cheese pizzas, raw spinach and drank a concoction called wheat grass juice that looked and tasted as if they picked it right from their front yard. 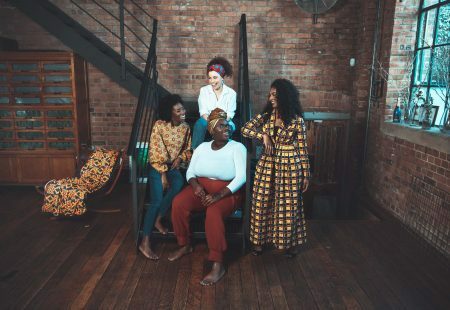 I didn’t understand nor did I really want to, but now that I am older (again, don’t ask), wiser AND the mother of a finicky toddler I completely understand. At least I understand the desire to make sure that she and I eat as healthy as possible given our often busy schedule. I was looking to add more greenery to our diet and lil’ miss lady balked at broccoli, every green bean and asparagus. 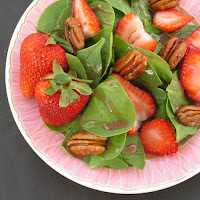 Then a friend gave me a simple recipe for spinach salad; washed, raw spinach leaves, sliced strawberries, chopped pecans, topped with a light raspberry vinaigrette dressing. The result? 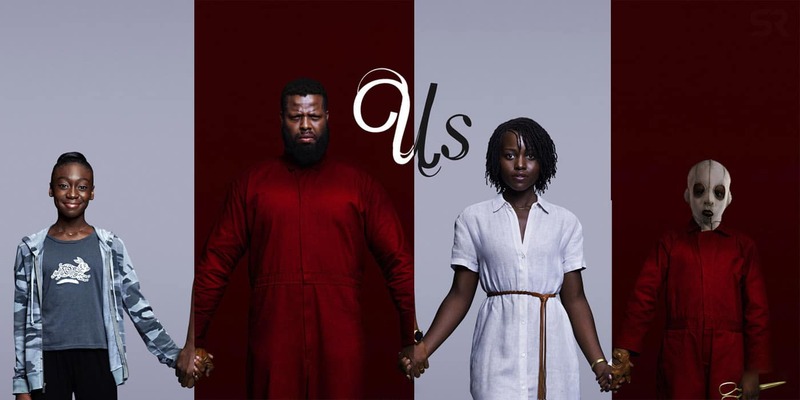 I loved it and my daughter did too! I started adding more of these salads to our meals and she never turned it away. Of course I could list spinach’s long list of nutritional values, including Vitamins A, C, E, K, calcium, potassium, iron, etc. but all of that is just a really strange sounding alphabet to a picky eating toddler. We discerning adults know that Popeye (and my friend’s mom) had it right, that spinach has nutrients that we may not be getting in our diets. Even some so –called ‘healthy’ foods have had all of the nutritional value processed out of their good intentions. As lovers of our families, we have to be creative and make eating well, taste good. I’m proud to say that my daughter asks for apples instead of fries on the occasional trip to Mickey D’s, for spinach salad and groovy smoothies enough to get her daily intake of fruits and vegetables. Of course she still pleads (unsuccessfully) for ice cream for breakfast but hey, you do what you can. 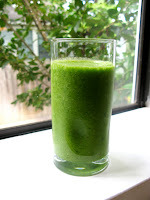 I was so determined to include more spinach in our diet that I decided to add it to our family favorite ‘Groovy Smoothie’, which originally consisted of strawberries, bananas, orange juice, ice and occasionally low-fat, plain yogurt. In the spinach version, blend the spinach and orange juice first and then add the strawberries, bananas and ice. It will definitely be green in color but YUM! Trust me; it’s easy and cheaper than buying the store versions. Next, we’re trying carrots! Thank you for your feedback Patricia, it's so important for women to receive as many proper nutrients as we can, especially starting in our mid-late 30's,40's,and up. This was a great article! I got my first bag of fresh spinach today and I can't wait to make my first smoothie. I've been trying to "go green" a lot these days, so adding it to my meals puts me right on track. Thanks and I'm look forward to seeing other nutritional ideas. Great job!